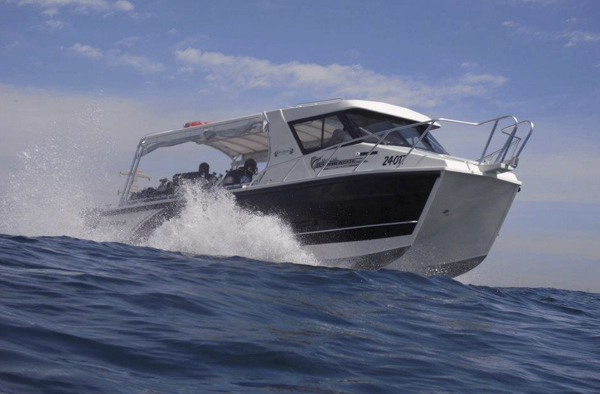 This Specialty is designed to expand your knowledge of boats and diving from a boat.. This specialty can be run for any certified diver who has the equivalent of RAID Open Water 20. 1. Introduction to different forms of boat diving and equipment requirements. 2. Introduction to boating terminology and key components that make up a boat. 3. Skills and techniques for safely entering and exiting the water via a boat. 1. To be a minimum of 15 years old. 2. Certified RAID Open Water 20 or equivalent. 3. Complete the RAID registration procedures. 1. RAID On-line e-learning academic presentations, quizzes, exam and practical skills as detailed. 2. Minimum of two open water training dives required. 1. All open water skills have been acknowledged and accepted on-line through the RAID web site by both yourself and your instructor. 2. The RAID Dive Centre has confirmed certification on-line through the RAID web site. If you are already registered go to RAID ONLINE STORE in your login to Sign up for a course now.